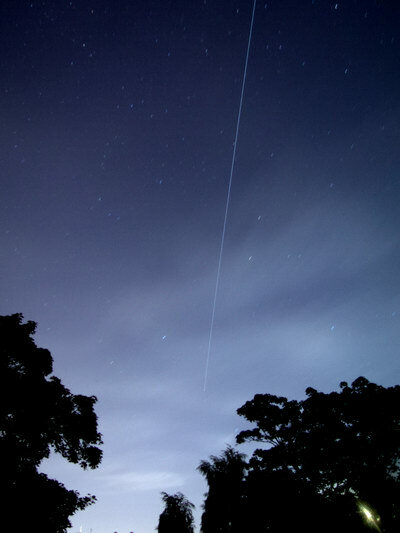 I managed to see and photograph the ISS earlier – like many times before, but never actually on my birthday! Because I haven’t had time to process tonight’s photo yet, here’s one from August 3rd instead, which worked out quite well too. The bright light in the lower right through the tree was actually the rising Moon!